The average working adult spends more than 8 hours a day tied to their office desk. That’s equivalent to half the time one spends awake for most people! 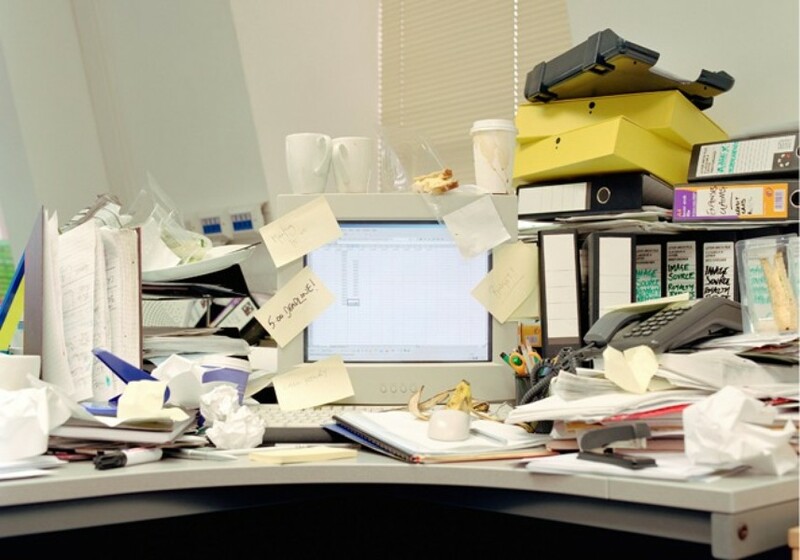 Tidiness in the workplace has a direct impact on your mental and physical well-being. You will be more productive and “in the zone” with adequate and conducive work space, than when it is untidy squeezed and cluttered. Here are five tips to help you free up space. The first step towards a freeing office space – packing away all that clutter. Be ruthless. Do you really need that commemorative plaque from 10 years ago? Or that pile of event booklets collected from every conference you’ve been to? Making your workspace as clutter-free as possible improves your productivity, lessen distractions and allows you to tap into the zone more easily. When optimising space, functionality really does trump clunky statement pieces. Why cramp up small offices with large tables and decades old document cabinets? Free up space with smaller furniture and put your document boxes and marketing materials at an external storage space. Claimed to be the “workspace of the future”. Hot desking has already been implemented by several corporations. ‘Hot desking’ is where employees don’t have a set desk but can use any available desk. This optimises office space to accommodate group discussions as well as utilise any unused desks when employees are away from office. By optimising your office space, you can even generate income from the freed up space! More and more businesses are choosing to share office space. Sharing a working space by renting out a part of your commercial property might be a great incentive to free up space and supplement your business income. Broad concerns have been voiced over paper-based processes, with close to half citing cost and security as the primary issues. With less than 10% of business processes forecasted to rely on paper by 2018, the move to digitalisation is inevitable. Save on printing costs and join in on the move to digital. But how do we work on documents collectively in an efficient manner without a hardcopy? Cloud computing is just the answer. *No minimum commitment, no credit card required. Dragon Law is the trusted platform to manage law online. Founded in Hong Kong in 2013, our mission is to transform the way businesses meet their legal needs. Our simple question ­and ­answer interface gathers key insights about your business, and generates highly­ customised contracts that address your specific needs. We give business owners the know­how and confidence to create even the most complex legal documents from start to finish. Dragon Law ’s clients have one platform to learn, one legal help desk, and one bill to pay. Today, more than 3,000 businesses rely on Dragon Law to meet their legal needs at a fraction of the time, cost, and complexity of the traditional system. Are your clothes sick of wearing you? I like that you talked about the importance of packing away all clutter in order to free your office space. My mother is looking to rent an office space. It’s important for her to get valuable tips to make sure that she can maximize the space that she will rent. It will make sense for her to ensure that all unnecessary things and documents are going to be trashed or stored in a different place to achieve a clutter-free space. I will make sure to share your blog with my mom so she can get some tips. We’re glad you find our tips useful and relevant to your everyday life. Do reach out to us on http://www.beamspace.com and we can share more about how we can help you or your mom on getting started with your Smarter Storage.